June Marie Pleines, 90, of the Arrowsmith-Saybrook area, passed away at 12:05 A.M., Tuesday, July 17, 2018, at The Villas of Holly Brook, Bloomington, Illinois. Her funeral will be at 11:00 A.M., Friday, July 20, 2018, at Calvert-Belangee-Bruce Funeral Home, 302 East Lincoln Street, Saybrook, Illinois, with Pastor Stacy Landry officiating. Burial will follow in Greenwood Cemetery, Arrowsmith, Illinois. Visitation will be one hour prior to the service at the funeral home. Memorials may be made to the Arrowsmith Christian Church or the Witt-Webber-Carrell American Legion Auxiliary Unit 617, Arrowsmith, Illinois. June was born June 9, 1928, in Beaverville, Illinois, a daughter of Dewey and Evelyn La Reau Varboncoeur. She married Ansel Keith Pleines on February 12, 1949, in Le Roy, Illinois. He passed away January 6, 2013. She is survived by her sons, David K. (Ruth) Pleines of Arrowsmith, Illinois, Darrel L. Pleines of Bloomington, Illinois, Dennis W. Pleines of Heyworth, Illinois, and Duane S. (Denise) Pleines of DeLand, Florida; daughter, Deborah J. Hardesty of Parker, Colorado; nine grandchildren, Darin; Darci; Logan; Bridget; Travis; Joshua; Wesley; Danielle; and April; eight great-grandchildren; and sister, Dorothy Roberts of Bloomington, Illinois. She was preceded in death by her parents; brothers, Robert Varboncoeur, Donald Varboncoeur and Dewey Varboncoeur Jr.; and sister, Ruby Berry. June attended the Arrowsmith Christian Church and the Arrowsmith United Methodist Church. 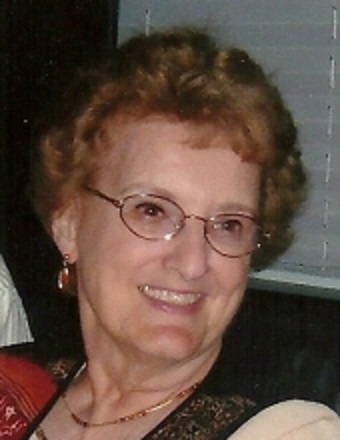 She was a member of the Witt-Webber-Carrell American Legion Auxiliary Unit 617, Arrowsmith. June had been a dental assistant in Bloomington, Illinois, and also a secretary and assistant for Kline and Meyer Veterinary Clinic in Gibson City, Illinois. The family would like to thank the staff and nurses of The Villas of Holly Brook, Bloomington, Illinois, and VITAS Hospice for their excellent care of their mother.